We are inviting ultimate, gold & expo plus pass holders, speakers and sponsors to access exclusive event features, both pre-event and over the two day conference. 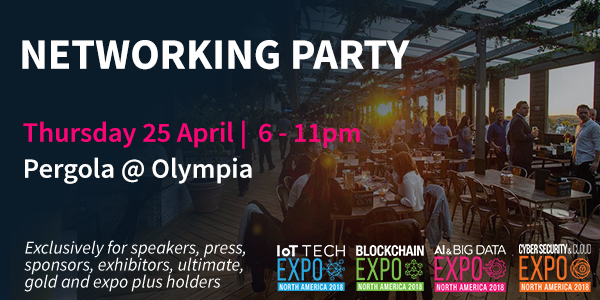 This includes the official App & Networking Tool, the Delegate Lounge and Networking Drinks on April 25th 2019. 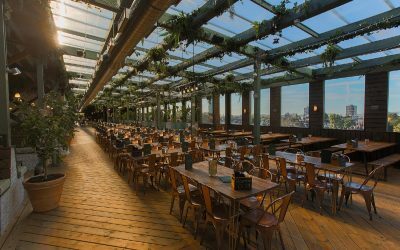 Taking place in Pergola Olympia, this Kensington rooftop bar has spectacular views across London and is located just on top of the expo venue making it the perfect place to host the official networking evening. There is still time to get your ultimate, gold and expo plus ticket, register for your ticket here. 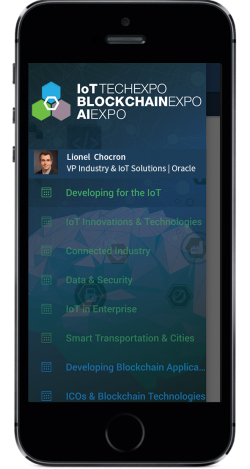 Official networking tool: The AI Expo App & Networking Tool allows you to plan your 2 days at the Expo with ease. It provides the opportunity for all our paid delegates, speakers, exhibitors & sponsors to connect pre-event, share knowledge, engage in discussions & pre-plan meetings with those you are looking to connect with during the show. Speakers, press, ultimate, gold and expo plus pass holders will be emailed their log-in details allowing access to the networking tool a few weeks before the event. To download the AI Expo App & Networking Tool on your Smartphone, please click on the relevant App store link below. Ultimate & Gold pass holders will have access to this exclusive lounge located within the expo. 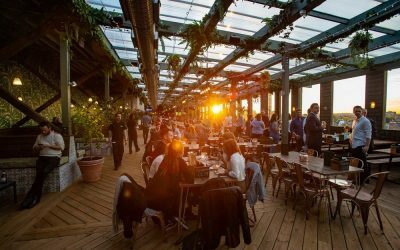 It is a great place to take a break from the bustling expo floor, consolidate the learnings from the conferences and arrange meetings with existing and new business partners.